Brandon Bauer is a Wisconsin-based artist. He uses art as a space for critical and ethical inquiry, discourse and dialog. His work explores themes of social justice, capitalism, consumerism, democracy, war and critical histories embedded in cultural ephemera. 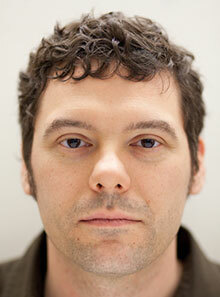 His work employs photography, video, collage, drawing, installation and collaborative produced projects. Brandon has exhibited work in the Aces(s) electronic media festival in Pau, France, The European Media Arts Festival in Osnabruck, Germany and at Project 101 in Paris among several other national and international venues. Brandon’s work has been produced in DVD editions, used as illustration for various editorial publications and books and has been published in poster editions. Brandon co-edited the book Peace Signs: the Anti-War Movement Illustrated, published in two editions and released in 2004. Gustavo Gili of Barcelona Spain published the Spanish language edition, and Edition Olms in Zurich Switzerland published an English, French and German language edition. In 2003 A DVD of Brandon’s early experimental video titled Signaldrift: a day under the city was released by the Paris based video label Lowave. In 2009 the experimental-noise label FTAM released a DVD of Brandon’s collaborations with musician Peter J. Woods titled Hungry Ghosts. Brandon received his B.F.A. in painting from the Milwaukee Institute of Art and Design in 1996, and his M.A. from the University of Wisconsin-Milwaukee in 2008. Brandon was a 2009-2010 Distinguished Graduate School Fellowship (DGSF) recipient for the completion of his Master of Fine Arts in Intermedia from the University of Wisconsin-Milwaukee.